As we bid adieu to 2013, I want to take this chance to thank each and everyone of you for your continued support. Even though I barely posted new recipes this year, I am truly grateful to all of you who remained loyal followers of PiTCC! I want you to know that your visit, comments and emails mean a lot to me --- THANK YOU FROM THE BOTTOM OF MY HEART! Hope you will stay and bear with me throughout the coming year! 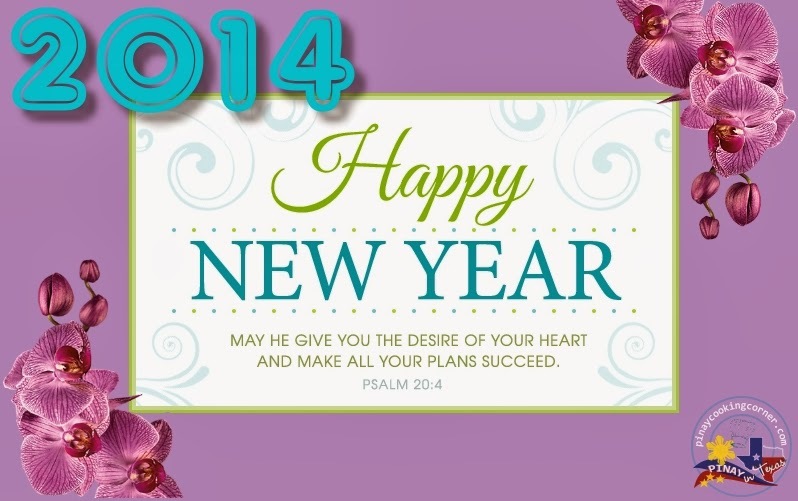 Wishing you all A BLESSED NEW YEAR! May 2014 be a year of GOOD HEALTH, LOVE, PROSPERITY, SUCCESS & UNENDING JOY for all of you! i wish were neighbor so i can taste some of that food you made, hahaha happy new year. Oh how I love the "top recipes of the year" posts! It allows me to see what I've missed and remind me of recipes I've seen and want to remember. What a great year you've had my friend! Happy New Year!